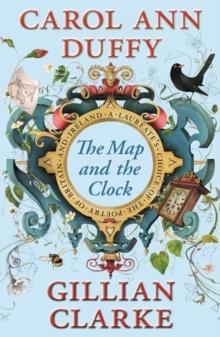 The Map and the Clock is a celebration of the most scintillating poems ever composed on our islands. Curated by Poet Laureate Carol Ann Duffy, and by Gillian Clarke, National Poet of Wales, this anthology gathers fourteen centuries of extraordinary verse - beginning with the first writings from the old languages of England and Ireland, Scotland and Wales, and culminating in some of our most recent poets, speaking in our present-day tongues. Many of our founding myths and legends are told here - King Arthur and Gawain, Beowulf and Mad Sweeney, the Mabinogion - as are the nursery-tales and songs we still sing today. Through these pages we witness the tragedy of European wars and world conflict; we court romance and friendship; we explore nationhood and belonging, identity and belief; and we are welcomed to a celebration of the cultural diversity of the poetries of our twenty-first century. The Map and the Clock is a stunning and essential treasury of the poems that have moulded our languages, examined our worlds, and shaped our islands through time.